Drugstore/High end Pinup make up! So here it is, we hope you like it! 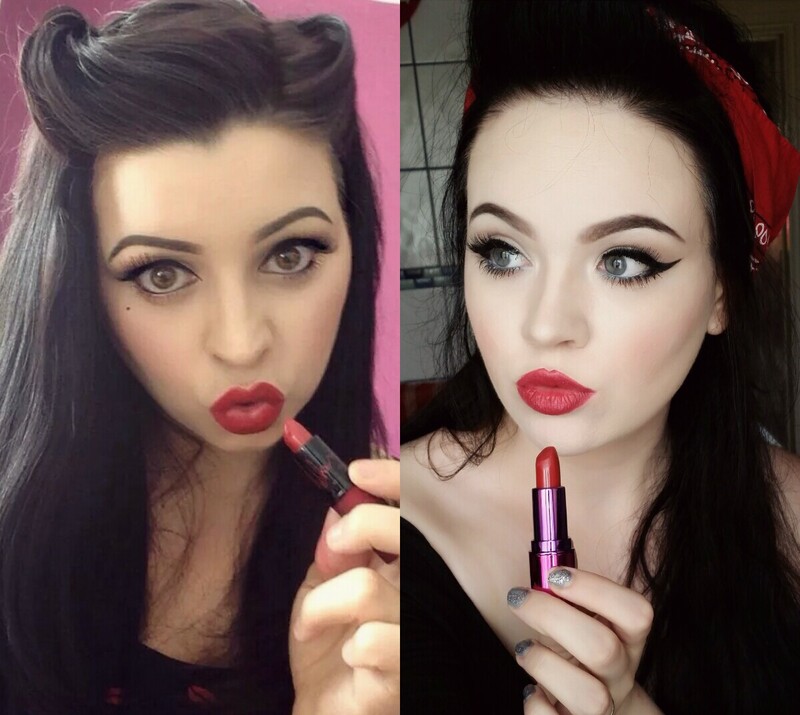 We had so much fun doing this and are both agreed that we’ll be rocking the pin up look regularly as we love it so much! All products will be listed below. Drugstore only pin up look by Lois. Contour: Sleek face form in Light. Highlight: Sleek face form in Light. Eyeliner: Double Flick by Makeup Revolution. Brows are Anastasia pomade in Ebony. Not really drugstore but already had it on from earlier. A drugstore alternative can be E.l.f cream liner in coffee. Lipstick: Makeup Revolution Lipgeek lipstick in Cherry Bomb.